There’s a new trend emerging, but it’s not one that’ll have you visiting clothing stores. Natural calamities are hitting places all over the world – occurring at a rate never seen before. The chances of you being next are at the highest they’ve ever been, and you best prepare. For this, you have the bug-out bag. Bug-out bags should contain everything you need for at least 72 hours of evacuation from a disaster site. Keep that in mind when you go over the following list of essentials found in every bug-out bag. Ah, the stuff of life. Science says you can last weeks without food, but can die from dehydration in a matter of days. Bring at least a liter for every day you expect to remain in evacuation per person. In that case, have a minimum of three liters per person ready. Store your water in sturdy containers just to be safe, too. If in case it turns out you hadn’t brought enough water, having water purification tablets ready should do the trick. Canned goods and dehydrated meals in plastic containers and paper bags are ideal over fresh food for a lot of reasons. For one, they require little to no preparation – something you probably won’t have the resources for in an evacuation site. They also have a prolonged shelf life (or, in this case, bag life), which you’ll need when you can’t access refrigeration. To add, the cans could also be used for other purposes throughout your evacuation. Prepare some food preparation instruments like a knife, although that could easily be substituted by the more useful Swiss knife. Accidents can happen at any time, and even more so when disaster strikes. Your bug-out bag should contain basic first aid, including bandages, povidone iodine, adhesives, tweezers,vitamin tablets and your prescription medicines. Also consider putting in some antibiotics like cephalexin, ciprofloxacin and metronidazole. These handle all kinds of nasty infections you’ll be prone to in an evacuation.Your bug-out bag should also have some benadryl in case of allergies. Not everyone may have these ready, so be open to sharing your aid with strangers. Who knows? You may even find yourself on the receiving end. Zip ties already have so many functions in regular, everyday life, yet they prove even more useful for evacuation purposes. These can be used to restrain objects in cases of strong winds, restrain people in times of danger or panic, hold together different materials to keep warm or expand your shelter, serve as a temporary tourniquet when a proper one can’t be made – the list goes on. Getting struck by disaster is no excuse to let yourself go. Have the basics like tissue, soap, a toothbrush, and toothpaste. Bringing a razor serves both purposes of grooming and self-defense. Should supplies become scarce or you encounter any danger (let’s hope not), you’ll be glad you packed something to protect you and your loved ones with. Rifles are good for hunting too in case food runs short.A .22 caliber rifle seems to be the rifle of choice in this case. When you’re bugging out, chances are there won’t be a readily available power supply. It’s a good thing technology has alternative, renewable solutions for generating electricity. Get yourself a crank power charger or even one that runs on solar power. The latter would, obviously, not be ideal in a hurricane situation. More specifically, there are also emergency radios available that run on crank power. At home, you cook, warm up, and need light. Evacuation is no different as these are essentials. There is, after all, a reason the discovery of fire propelled human evolution. Pack some waterproof matches, lighters, maybe even a can of butane. That last one will be especially helpful in the case of a zombie apocalypse as it makes a good makeshift fire bomb. Again, no power means no light, and that becomes an especially pronounced problem come night time. A torch with a hand crank is ideal, but isn’t always available. Battery-powered should do just fine, but remember to pack extra batteries in that case. There are also some solar-powered lamps available in the market. Most of these things can be found in the camping section or appliance section of most department stores. Don’t bring your whole wardrobe. 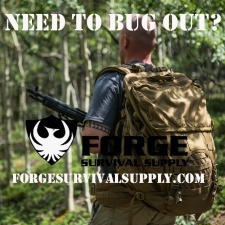 Remember that a bug out bag is ideally good for only three days. Go for smaller, lighter garments like your average t-shirts, shorts, and the like. Extra underwear and socks are good, too. Should these run out, you could rinse them out at a nearby water supply, but let’s not hope it gets to that. And, make sure the water used for laundry isn’t meant for drinking. Come on. Other than having shelter for the sake of shelter, this also provides safety for you, your loved ones and your belongings. You’ll also need to be well-rested to stay alert – of utter importance in times of calamity. There are several compact tent variants for you to choose from. Also make sure you have on you some tarp and ground pads. There are some thing you just can’t be too prepared for, and being prepared entails covering every possible scenario. Survival manuals will provide the necessary know-how for sticky situations and should your evacuation level up to a survival scenario. The rule of thumb in packing your bug-out bag is to expect for the best while preparing for the worst. You know your area and its people better than any website, and should use that knowledge in stocking up. Should disaster strike, you’ll find these items to be more than useful for your evacuation. Good to see a post from you sir. Clothing items can be cleaned if they aren't soiled beyond recognition, using natural sunlight on full exposed clothing via UV light. It helps to turn items inside out so that surfaces get full treatment of this. For long term lighting, check out the Paq Lite units. Not bright light, but the glow in the dark crystals do provide enough light to keep from bumping into items. They are recharged via ANY light source, so a flashlight passed over them for a minute can get them back to full strength quickly. Expremely compact, nearly weightless, won't destroy your night vision - good BOB item in my book. If you haven't voted yet, make sure to not miss it this time, probably the most important vote we have yet to date. 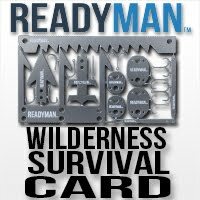 Superb website for every survivalist recognizes that whenever facilities fall, h2O is going to be difficult to find and wholesale survival knives. The portable water filtration makes it possible for survivalists to obtain their drinking water through streams, channels, as well as other organic sources while not having to be worried about that water which makes them ill.